I'm pretty sure this is one book list that won't include that title. Looking for some Christian books for women? Are you trying to keep costs down? Affordable Christian eBooks at your fingertips. you can sign-up for e-mail notifications when she adds new titles to the list. I think this is a smashing idea. 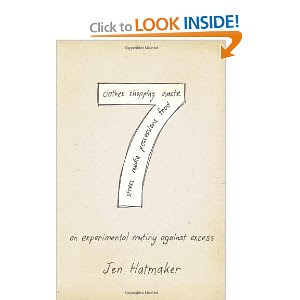 I'm currently enjoying 7: An Experimental Mutiny Against Excess. I'll be chilling with 7. What's the last good book you've read? What's on your list for this summer?